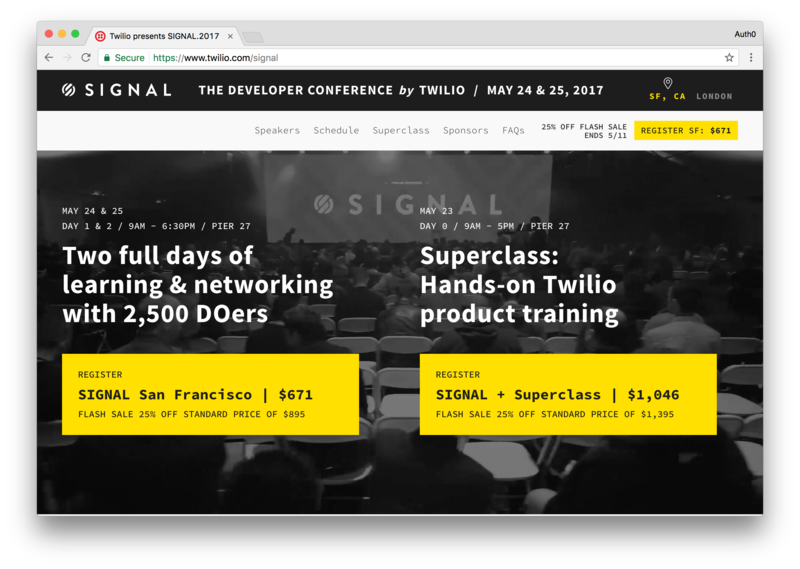 Signal.2017 is less than two weeks away and we can't wait to see what Twilio and the numerous vendors attending will have to show. The two-day conference kicks off May 24 and will be held at Pier 27 in San Francisco, California. After a long day of invigorating sessions including: IFTTT: Building applications for the future by Linden Tibbets, Congress on Speed Dial: Advocacy in the age of Twilio by Ian Webster, and What Can You Do With Twilio Voice? by Manav Khurana, join Auth0, Algolia, and Keen IO as we host a special happy hour for Signal.2017 attendees. The happy hour will be a great opportunity to meet and network with fellow attendees, talk about all the new announcements, and get some swag. Food and drinks will be provided courtesy of Auth0, Algolia, and Keen IO. 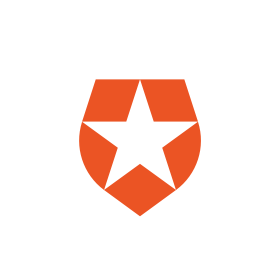 Auth0 provides frictionless authentication and authorization for developers. The company makes it easy for developers to implement even the most complex identity solutions for their web, mobile, and internal applications. Ultimately, Auth0 allows developers to control how a person’s identity is used with the goal of making the internet safer. Algolia helps developers connect their users with what matters most. Our hosted search API powers billions of queries for thousands of websites & mobile applications every month, delivering relevant results in an as-you-type search experience in under 100ms anywhere in the world. Algolia's full-stack solution takes the pain out of building search; we maintain the infrastructure & the engine, and we provide extensive documentations to our dozens of up-to-date API clients and SDKs with all the latest search features, so you can focus on delighting your users. For more information visit https://www.algolia.com or follow @algolia on Twitter. Over 60,000 developers use Keen IO APIs to capture, analyze, and embed event data into their tools and products. Thousands of customers rely on Keen’s event data platform to white label data applications in media, e-commerce, adTech, gaming, IoT and retail. Keen’s customers query trillions of data points daily. Keen IO also values and promotes empathy, introspection, distributed innovation, continuous learning, playing to your strengths, and patching your weaknesses with diverse collaborators. For more information visit https://keen.io or follow @keen_io on Twitter.